WOW can you believe its December 9th?? This month is going so fast! I need to hurry up and get those Christmas cards done! How are you doing on your holiday cards? 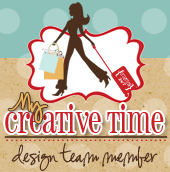 Today is day 9 of the 12 days of Christmas and the MCT design team is really showing off their talents! I love every project so far!!!! Im so excited about all these wonderful projects this month. Im honored and very lucky to be on this design team! Im sorry for the short post but Im sure you want to check out the rest of the projects for today. Don't forget to leave a comment for a chance to win some goodies. Big crafty hugs to you all! I love this tree! I love all the ways you can dress a tree up. This one is super cute. 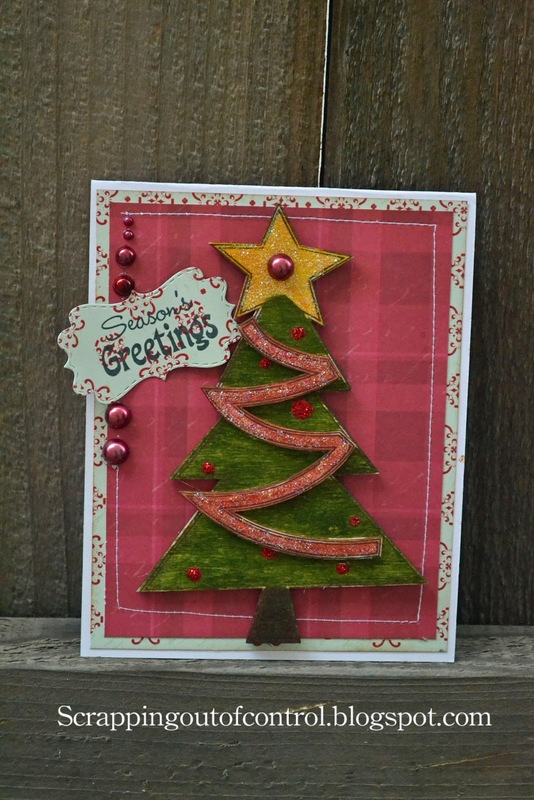 Very cute card, love the wood tree. Great job! What a beautiful card! LOVE the tree!! HI Nice like your tree. Your tree is darling and I love how Tim Holtz distress markers look on this I love these too he's genius with his products just like EMMA gosh aren't we lucky to have it all! 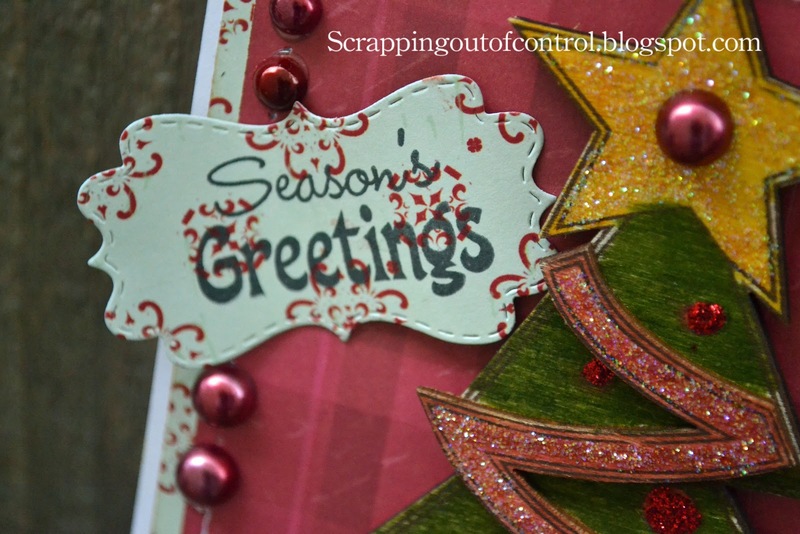 Your card came together so perfectly and using a wooden tree how fun. This is so pretty, Nancy! I love how you colored the tree, and it adds such fun dimension to your card! Super sweet card!!! Love the tree!! Very festive card. Thank you!! Love the colors you chose. Very nice and homey! TFS! Very cute card love the tree. I am not doing well on getting cards done :( I have been enjoying all of the creative ideas from Emma and the Design Team. Your card may look simple but took quite a bit of time to make and it turned out beautiful. The few touches of glitter and bling are perfect. Great job! Very cute card! I just finished my cards today but nothing else is done. I'm starting to feel the pressure of how fast this month is flying by! 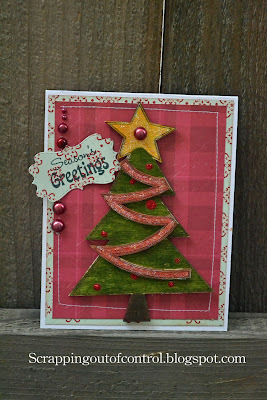 Great card--I like how you colored and decorated the tree. Such a cute card!! I have to pull myself away from those wooden shaped bins in Michael's or I'd buy every one of them!! Nancy ~ Oh this is just PERFECT!! I LOVE what you did witht he tree and the sentiment and die are just PERFECT with that FABULOUS paper!! I TOTALLY agree with your post! Sometimes simple is just BEST!!! I just LOVE the fact you used wood too! Great idea to use a wooden shape, nice to change things up every now & then! TFS! Perfect and beautiful tree! LOVE it! Simple, yet STUNNING! Again, another sample of your boundless creativity. The star, especially, caught my eye. Thank you for sharing and inspiring. Pretty tag to accent this adorable tree. Love the Christmas tree! TFS your card with all of us. This is so pretty. I need to sit here for a bit and look at it again. Sooo fun love the tree. Adorable.